How do I get phpMyFAQ to work with elasticsearch? we've had phpMyFAQ installed for quite some time now. We only just recently realized that the built-in search engine doesn't work perfectly. i. e. we noticed that for each picture we upload, it will create a coded base64 string for that picture in the article-page source. It just happens to be that if you search for short items (about 3 characters long) you will surely find a lot of articles that don't have the keyword in it, it just appears to be in the aforementioned base64 string. Re: How do I get phpMyFAQ to work with elasticsearch? do you have a elasticsearch.php configuration file in /config? 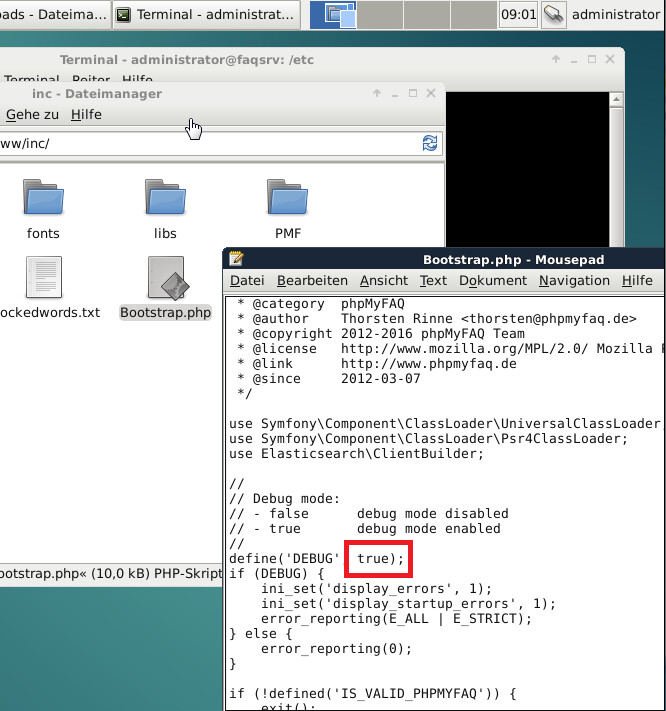 please enable the debug mode in inc/Bootstrap.php and try to open this configuration page again to see the errors. I'm sorry, but I can't seem to get the debug-mode to work. Hello, I just got a step further. I forgot, that my Apache 2 config used htaccess on /var/www (complete webpage). I disabled the htaccess and changed it to using the login form phpMyFAQ provides. Now I actually get a response in the System Information frame in the phpMyFAQ config. 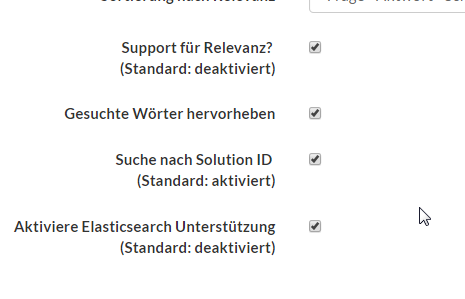 Still, when I activate Elasticsearch and open the System Information page again, it goes blank again. 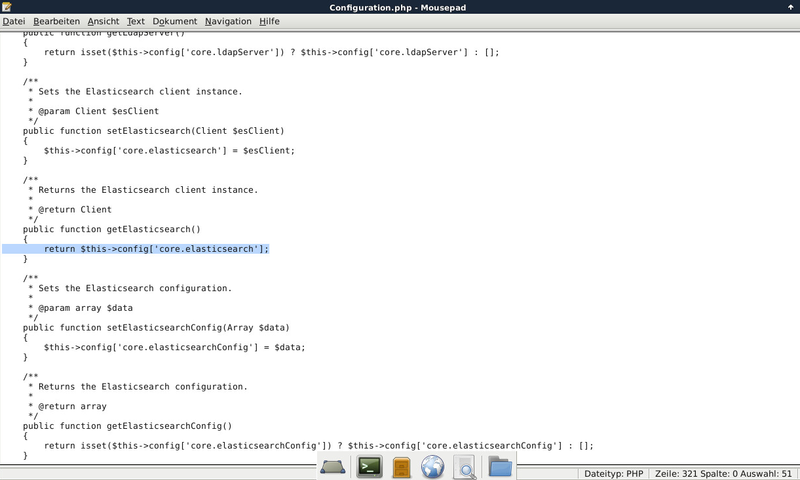 Same the Elsaticsearch configuration page. please update to 2.9.7, the error message should be visible then. thanks for the tip with the update. 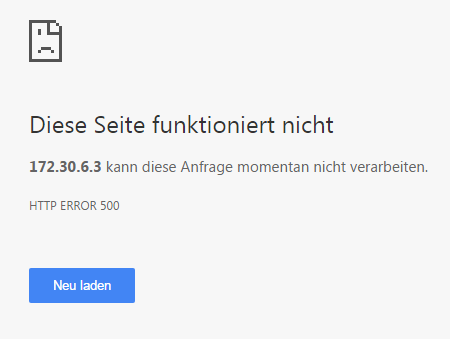 Any idea, what this could mean, or how to fix this? Okay, forget it. I got the solution now. My work colleague who set up the server cloned the /var/www/html/ (root-directory phpmyfaq) as a backup - and pasted it right in one level above the directory. 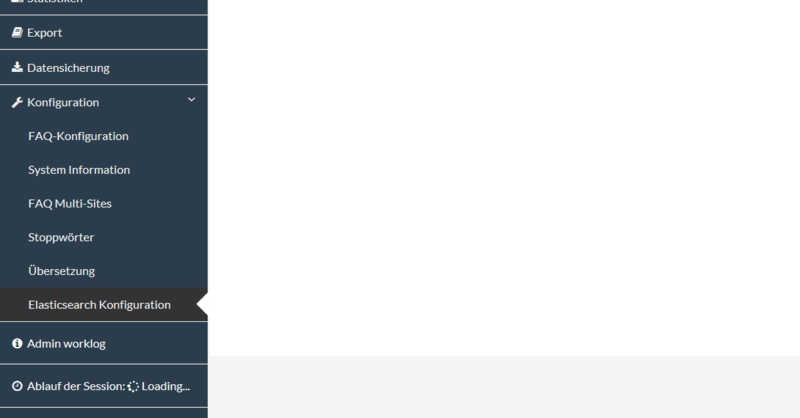 so it was in /var/www now, instead of /var/www/html. 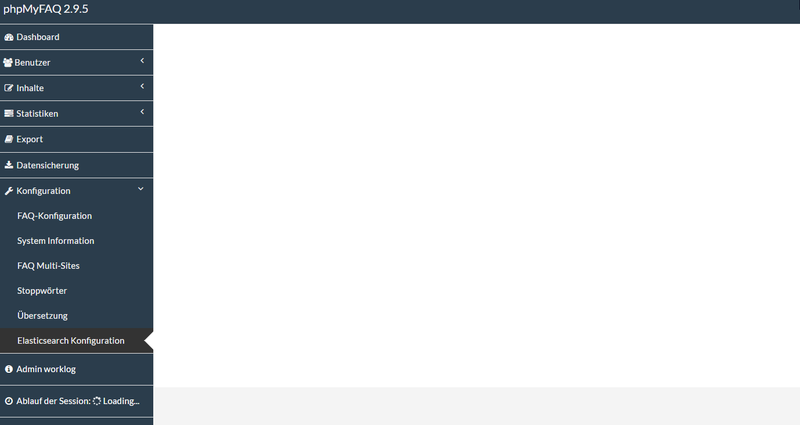 Of course I was expecting this to be the root directory so I only changed the config in the backup directory instead of the live-website directory. no worries, great that it's working now! I met the same search problem like you. Do you have the sop about how to set the elasticsearch to work with phpMyFAQ.